Mark, Chloe and the two dogs welcome you to The Hampshire Bowman in Dundridge, a traditional country freehouse serving real ales, real ciders and real food all year round. We’re dog friendly and mobile phone unfriendly. 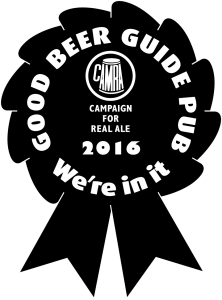 The Hampshire Bowman is a great unspoilt country pub – we’ve been in the CAMRA good pub guide for over 25 years! To keep up to date with our news from the Hampshire Bowman, like us on Facebook.